Art Events Outside the U.S.
To read previous posts, click TheRickieReport.com and scroll down. 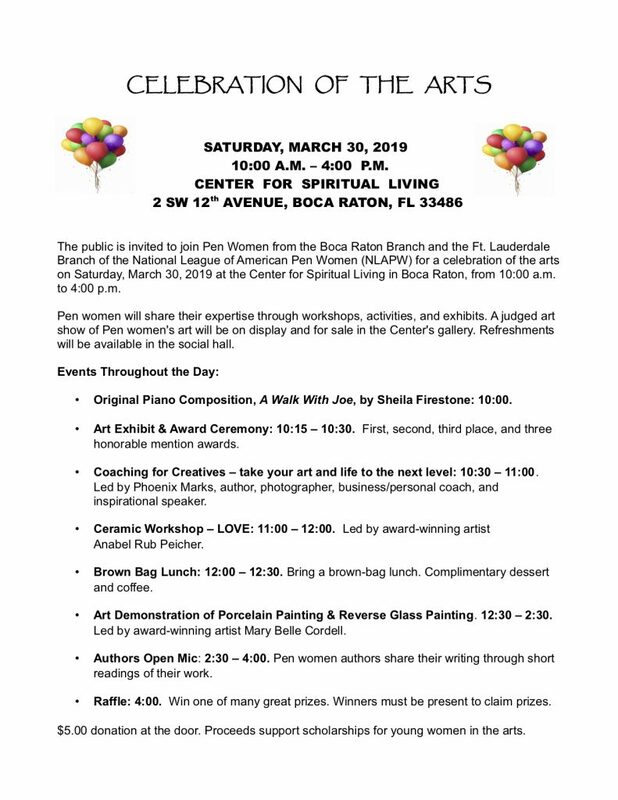 The public is invited to join Pen Women from the Boca Raton Branch and the Ft. Lauderdale Branch of the National League of American Pen Women (NLAPW) for a “Celebration of the Arts”. Workshops, activities, and speakers will take place at the Center for Spiritual Living in Boca Raton. An art exhibit by Pen Women artists will be on display and for sale. The Rickie Report shares the details and urges you to mark your calendars for what promises to be a fantastic day! 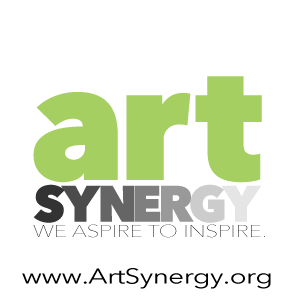 The Boca Raton Branch of the National League of American Pen Women (NLAPW) is an organization of professional women in the arts – writers, artists and music composers. Established 43 years ago, the Boca Raton Branch is one of the largest branches in the country. Members have opportunities to interact with other professional women and showcase their creative work in public forums. 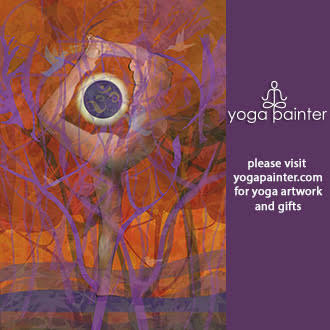 Workshops, art exhibits, lectures, music programs, competitions and special events are offered. The Branch supports the local community through outreach programs and scholarships awards. The National League, headquartered in Washington, D.C., is the oldest women’s organization in the U.S. Throughout its 120-year-history, the NLAPW has attracted many prominent women to its rosters, including Eleanor Roosevelt, Pearl Buck, Erma Bombeck and Edna Hibel. Vinnie Ream, whose statue of President Lincoln stands in the U.S. Capitol Rotunda, was an early member of the NLAPW. From October to April, the Boca Raton Branch holds luncheon programs, featuring interesting and inspiring speakers. Guests are welcome to attend the luncheons and meet our creative members. To register for a luncheon, visit our Web site and download a reservation form.